Neem Seed Meal 6-1-2 is an all natural fertilizer that is excellent for enriching garden and agricultural soils to encourage optimum plant development. DTE Neem Seed Meal is produced during the extraction of oil from the seed of the Indian Neem Tree (Azadiracta indica). It promotes strong root systems, improves plant immunity and balances nutrient levels in the soil as it improves soils' organic matter content. Interested in reading more about organic soil amendments? 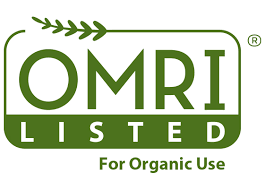 We have additional information located on our Organic Soil Amendments page. ¤ New: apply 2.5 - 5 lbs per 100 sq ft, thoroughly mix into the top 3" of soil. ¤ Transplants: add 1 - 2 Tbsp per hole, mix into soil and water well. ¤ Established: side dress 1/2 - 1 cup depending on the size of your plant, once each month during the grow season. ¤ Apply 200 - 400 lbs per acre depending on specific crop needs. Incorporate into soil 2 - 3 weeks before planting for best results. ¤ New: add 1/8 - 1/4 cup per gallon of soil, mixing thoroughly (or add 5 - 10 lbs per cubic yard). ¤ Established: lightly mix 2 - 4 Tbsp per gallon into the soil surface once each month during the growing season. ¤ New trees: prepare transplant hole by mixing 1 - 2 cups into the back fill soil; use the amended soil to fill in around the new tree and water well. ¤ Existing: spread 1 - 2 lbs per 1" of trunk diameter around the base outwards to the drip line, mix into soil surface and water well. ¤ Add 2 - 4 Tbsp per gallon of water and let steep up to 48 hours agitating periodically. Apply the solution directly to the soil around plants or filter and apply as a foliar spray. Be sure to use all of the solution once it is prepared, does not keep. 6-1-2. OMRI Certified. Total Nitrogen (N) 6.0%: 6.0% Water Insoluble Nitrogen (6.0% Slow Release Nitrogen from Neem Seed Meal). Available Phosphate (P2O5) 1.0%. Soluble Potash (K2O) 2.0%.